Find free classifieds for Vacation rentals for sale or to buy in Maharashtra. FREEADS in India offers you a platform to post free advertisements or classifieds for Vacation rentals, Maharashtra. FREEADS in India helps you search, find, buy, sell, rent or hire in various categories like apartments, goods for sale, local services, cars , jobs and many more in Maharashtra. Shown below are ads available in Vacation rentals, Maharashtra. You can use search box above to refine your search. Hotel Ameya is one of the best place to stay in Dadar (West), Mumbai. The hotel is walking distance from the famous Shivaji Park and just 1.5 km from the Siddhivinayak Ganesh temple.. If are you looking for Pune to Adlabs Imigica Cab? Is Nath Krupa Travels is right for you. Contact 09623798119 today or visit us at http://www.nathkrupatravels.com/punetoadlabsimagica.aspx. Book rooms in Sahara star hotel located near mumbai airport at your convenience for 6 hours, 12 hours, 18 hours, 24 hours or for one night at discounted rates available only at http://www.6hourly.com/ . Hotel Sahara Star, one of the best luxury hotels near Mumbai airport available for 6, 12, 18 and 24 hours!!! http://www. Homestays.in - your one-stop shop for Vacation Rentals in India. Log on to our website and discover a whole world of amazing getaways such as Homestays, Villas, Bungalows, Condos, Service Apartments, Boutique Resorts, Farmstays, Nature Resorts and much more..
Hotel Panchavati takes the pleasure to offer you the best hospitality services, luxury and memorable staying experience in Nashik. Ours is centrally located hotel in Nashik city, making it easy for you to visit important places in the city. We have modern and well furnished rooms along with in-room amenities like 24h room service, hot water, laundry, LCD TV, Refrigerator, Doctor on Call and much more. Fully furnished holiday apartment with all luxury facilities in the heart of the city. There are many facilities like Intercom security system, Internet facility, Telephone, Fully Air Conditioned, worldwide TV channel facility. Tandoori chicken Restaurant nearby airport-40 minutes distance Train-15 min Auto Rickshaw below the house AC bus 5 min walk right south Indian restaurant right hand side cinema house and mall 15 min ride McDonald 15 min walk walk jogger's park 20 minutes walk essel world 15 minutes walk Juhu Chopati-45minutes National park-20 minutes. Are you looking flats for rent in Bandra? 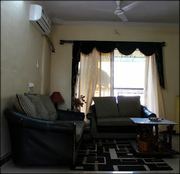 Bandra Rentals offers lavish and stylish furnished apartments for rent in Mumbai at competitive rates. http://www.bandrarentals.com/. Indian Adventures offer best online deals and exciting offers on hotels booking in Kanha. Kanha National Park is reckoned among the largest Tiger reserves in the world.. 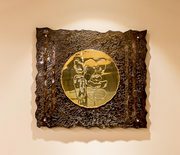 The Grand Dragon is 4 star luxury hotel situated at Chulung Old Road, Sheynam. Hotel provides comfort accommodations equipped with all modern facility.Contact us……….. Email ID- info@ijdreamvacation.com Just browse - http://www.lehladakhtoursindia.com/leh-ladakh-hotels/hotel-dragon-leh-ladakh. Seven Serviced Apartments is one stop destination for all your serviced home and apartment needs in Mumbai. We offer conveniently situated, elegant and luxurious apartments to corporate, business and leisure travelers..
Osian Resort Camps in Rajasthan provides Swiss tents and Desert Camp at Jodhpur, India. Experience and Enjoy Osian sand dunes while staying at Osian resort with rajasthani heritage decor, modern amenities, luxury facilities and entertainment activities at reasonable rates..
Marugarh Jodhpur offers luxurious hotels in Jodhpur with various amenities like Restaurants, Conference Hall, Banquet Laws, Spa, Swimming Pools etc. at cost effective prices..
BUNGALOW OF 1500 SQ.FT FURNISHED WITH TV D T H FRIDGE KITCHEN FURNISHED WITH GAS AND UTENSILS SERVANT FACILITY BEDROOM ATTACHED WITH OPEN TERRACE OF 150 SQ.FT GARDEN FACILITY.IDEAL FOR FAMILY, COUPLES AND GROUP OF 4 TO 6 PERSONS.NEAREST BEACH NAGAON. kanha resort United 21 kanha jungle resort know as kanha tiger resort in MP, United 21 kanha offer hospitality services, for booking info call at (022)41579999..
Book Your Cheap Air Tickets online through www.lowest-airticket.in you can get the competitive lowest air fares at your doorsteps through us. Save more on round trip air fare. We organize all kinds of Domestic & International flight tickets as per your requirements. We also organize packages tour, Hotel Booking services for you as per your requirements. The Central Park Hotel offers Luxury hotel stay in Pune. Hotel is a showcase of contemporary international design, yet stunningly simple. The Central Park Hotel is sure to offer you a memorable stay at Pune.Luxury hotel Pune India, budget hotel Pune India, bed & breakfast in Pune More info...visit http://www. Beautiful 2bhk open concept flat for vacation reantals in Bandra W !! This is an amazing flat with view from all sides of d house. it has open concept and very good neighbourhood. close to all public and private amanities. 24 hrs water maid avail in d morning for breakfast. cleaning provided. Call d owner now- 9820844348- Mr Aftab Mukadam 9967353403-Yasmin Mukadam call for more details . At The Central Park Hotel we go the extra mile to please our guests and make them want to return for another experience. Pune Hotel Booking, Swimming Hotels Pune, Hotel Accommodation India, Hotels near Mumbai, Hotel Booking India. More info...visit http://www.thecentralparkhotel.com. India ads for Vacation rentals, Maharashtra, Vacation rentals free ads Maharashtra, Vacation rentals for sale Maharashtra, Vacation rentals to buy in Maharashtra. This page is a classified ads listing for Vacation rentals Maharashtra. This listing includes classifieds for sale and to buy in Maharashtra. If you posted an advertisement on Vacation rentals, Maharashtra before please use Edit my ads button to change or cancel your ad. Vacation rentals Maharashtra ads Maharashtra, Vacation rentals classifieds Maharashtra, Vacation rentals free ads Maharashtra, ads for sale Maharashtra, ads to buy Maharashtra, FREEADS in India. Find here ads for sale, to buy and rent in Maharashtra. Goods for sale in Maharashtra, vehicles for sale in Maharashtra, Maharashtra real estate for sale, Maharashtra property for sale, property for rent in Maharashtra, business ads in Maharashtra, Maharashtra business classifieds, services in Maharashtra, Maharashtra services ads, jobs in Maharashtra, pets for sale in Maharashtra, Maharashtra dating, Maharashtra cars for sale.